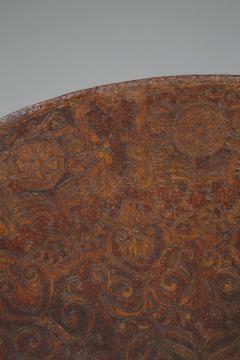 Materials Of wood, entirely covered in tooled brown leather. 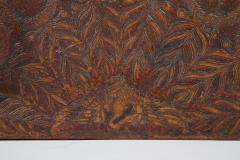 Of wood, entirely covered in tooled brown leather. 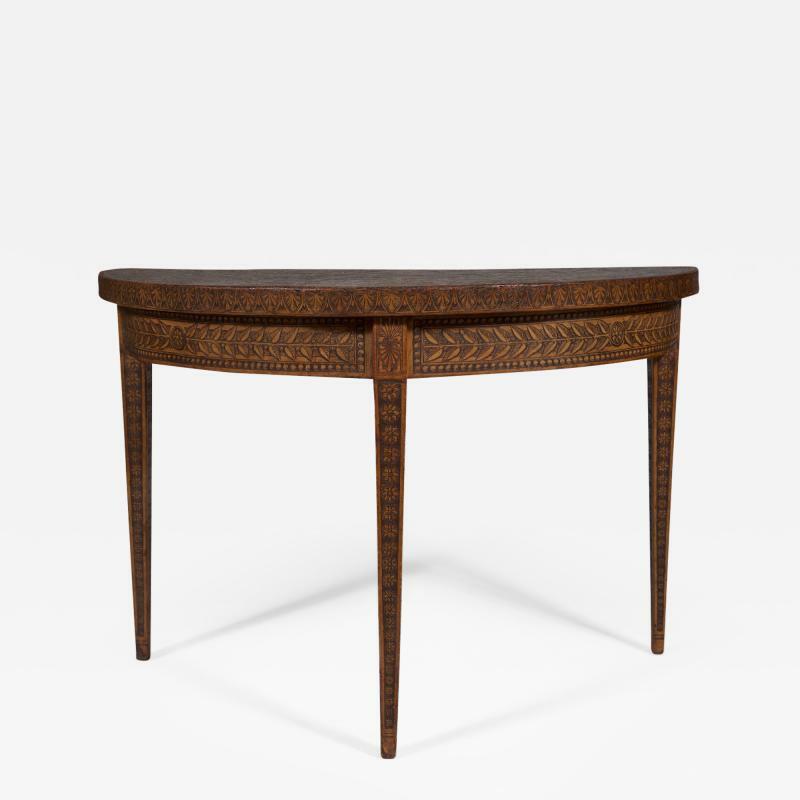 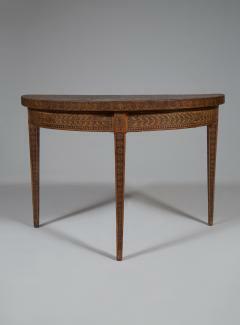 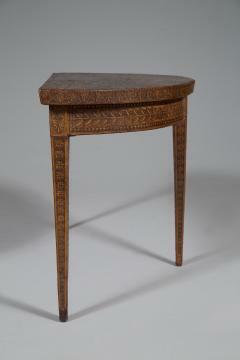 The demilune shaped top densely worked with repeating classical foliate designs and lion monopodiae. 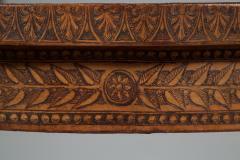 The raised edge decorated with repeating inverted acroterae above a three panel frieze set with laurel branch and berry decoration. 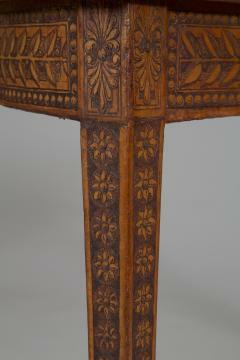 Each tapering leg headed by a panel decorated with paterae with repeating 'sunflower' heads of diminishing size below. 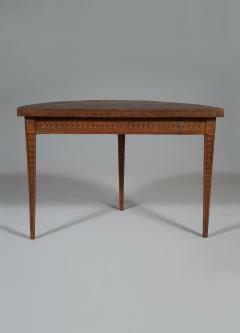 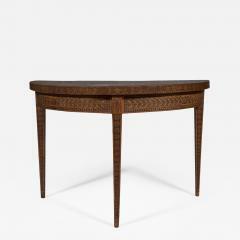 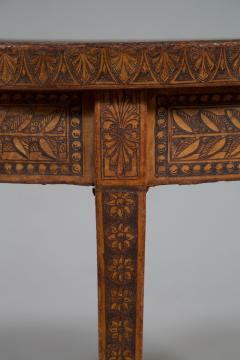 The outer back rail of the table similarly decorated.